born Aug. 29, 1632, Wrington, Somerset, Eng. died Oct. 28, 1704, High Laver, Essex, Eng. English philosopher whose works lie at the foundation of modern philosophical empiricism and political liberalism. He was an inspirer of both the European Enlightenment and the Constitution of the United States. His philosophical thinking was close to that of the founders of modern science, especially Robert Boyle, Sir Isaac Newton, and other members of the Royal Society. His political thought was grounded in the notion of a social contract between citizens and in the importance of toleration, especially in matters of religion. Much of what he advocated in the realm of politics was accepted in England after the Glorious Revolution of 1688–89 and in the United States after the country’s declaration of independence in 1776. Locke’s family was sympathetic to Puritanism but remained within the Church of England, a situation that coloured Locke’s later life and thinking. Raised in Pensford, near Bristol, Locke was 10 years old at the start of the English Civil Wars between the monarchy of Charles I and parliamentary forces under the eventual leadership of Oliver Cromwell. Locke’s father, a lawyer, served as a captain in the cavalry of the parliamentarians and saw some limited action. From an early age, one may thus assume, Locke rejected any claim by the king to have a divine right to rule. After the first Civil War ended in 1646, Locke’s father was able to obtain for his son, who had evidently shown academic ability, a place at Westminster School in distant London. It was to this already famous institution that Locke went in 1647, at age 14. Although the school had been taken over by the new republican government, its headmaster, Richard Busby (himself a distinguished scholar), was a royalist. For four years Locke remained under Busby’s instruction and control (Busby was a strong disciplinarian who much favoured the birch). In January 1649, just half a mile away from Westminster School, Charles was beheaded on the order of Cromwell. The boys were not allowed to attend the execution, though they were undoubtedly well aware of the events taking place nearby. The curriculum of Westminster centred on Latin, Greek, Hebrew, Arabic, mathematics, and geography. In 1650 Locke was elected a King’s Scholar, an academic honour and financial benefit that enabled him to buy several books, primarily classic texts in Greek and Latin. Although Locke was evidently a good student, he did not enjoy his schooling; in later life he attacked boarding schools for their overemphasis on corporal punishment and for the uncivil behaviour of pupils. In his enormously influential work Some Thoughts Concerning Education (1693), he would argue for the superiority of private tutoring for the education of young gentlemen (see below Other works). In the autumn of 1652 Locke, at the comparatively late age of 20, entered Christ Church, the largest of the colleges of the University of Oxford and the seat of the court of Charles I during the Civil Wars. But the royalist days of Oxford were now behind it, and Cromwell’s Puritan followers filled most of the positions. Cromwell himself was chancellor, and John Owen, Cromwell’s former chaplain, was vice-chancellor and dean. Owen and Cromwell were, however, concerned to restore the university to normality as soon as possible, and this they largely succeeded in doing. Locke later reported that he found the undergraduate curriculum at Oxford dull and unstimulating. It was still largely that of the medieval university, focusing on Aristotle (especially his logic) and largely ignoring important new ideas about the nature and origins of knowledge that had been developed in writings by Francis Bacon (1561–1626), René Descartes (1596–1650), and other natural philosophers. Although their works were not on the official syllabus, Locke was soon reading them. He graduated with a bachelor’s degree in 1656 and a master’s two years later, about which time he was elected a student (the equivalent of fellow) of Christ Church. At Oxford Locke made contact with some advocates of the new science, including Bishop John Wilkins, the astronomer and architect Christopher Wren, the physicians Thomas Willis and Richard Lower, the physicist Robert Hooke, and, most important of all, the eminent natural philosopher and theologian Robert Boyle. Locke attended classes in iatrochemistry (the early application of chemistry to medicine), and before long he was collaborating with Boyle on important medical research on human blood. Medicine from now on was to play a central role in his life. The restoration of the English monarchy in 1660 was a mixed blessing for Locke. It led many of his scientific collaborators to return to London, where they soon founded the Royal Society, which provided the stimulus for much scientific research. But in Oxford the new freedom from Puritan control encouraged unruly behaviour and religious enthusiasms among the undergraduates. These excesses led Locke to be wary of rapid social change, an attitude that no doubt partly reflected his own childhood during the Civil Wars. In his first substantial political work, Two Tracts on Government (composed in 1660 but not published until 1967), Locke defended a very conservative position: in the interest of political stability, a government is justified in legislating on any matter of religion that is not directly relevant to the essential beliefs of Christianity. This view, a response to the perceived threat of anarchy posed by sectarian differences, was diametrically opposed to the doctrine that he would later expound in Two Treatises of Government (1690). In 1663 Locke was appointed senior censor in Christ Church, a post that required him to supervise the studies and discipline of undergraduates and to give a series of lectures. The resulting Essays on the Law of Nature (first published in 1954) constitutes an early statement of his philosophical views, many of which he retained more or less unchanged for the rest of his life. Of these probably the two most important were, first, his commitment to a law of nature, a natural moral law that underpins the rightness or wrongness of all human conduct, and, second, his subscription to the empiricist principle that all knowledge, including moral knowledge, is derived from experience and therefore not innate. These claims were to be central to his mature philosophy, both with regard to political theory and epistemology. In 1666 Locke was introduced to Lord Anthony Ashley Cooper, later 1st earl of Shaftesbury, by a mutual acquaintance. As a member and eventually the leader of a group of opposition politicians known as the Whigs, Ashley was one of the most powerful figures in England in the first two decades after the Restoration. Ashley was so impressed with Locke at their first meeting that in the following year he asked him to join his London household in Exeter House in the Strand as his aide and personal physician, though Locke did not then have a degree in medicine. Politically, Ashley stood for constitutional monarchy, a Protestant succession, civil liberty, toleration in religion, the rule of Parliament, and the economic expansion of England. Locke either shared or soon came to share all these objectives with him, and it was not long before a deep—and for each an important—mutual understanding existed between them. Locke drafted papers on toleration, possibly for Ashley to use in parliamentary speeches. In his capacity as a physician, Locke was involved in a remarkable operation to insert a silver tube into a tumour on Ashley’s liver, which allowed it to be drained on a regular basis and relieved him of much pain. It remained in place for the remainder of Ashley’s life. Locke also found a suitable bride for Ashley’s son. By 1668 Locke had become a fellow of the Royal Society and was conducting medical research with his friend Thomas Sydenham, the most distinguished physician of the period. Although Locke was undoubtedly the junior partner in their collaboration, they worked together to produce important research based on careful observation and a minimum of speculation. The method that Locke acquired and helped to develop in this work reinforced his commitment to philosophical empiricism. But it was not only medicine that kept Locke busy, for he was appointed by Ashley as secretary to the lords proprietors of Carolina, whose function was to promote the establishment of the North American colony. In that role Locke helped to draft The Fundamental Constitutions for the Government of Carolina (1669), which, among other provisions, guaranteed freedom of religion for all save atheists. Throughout his time in Exeter House, Locke kept in close contact with his friends. Indeed, the long gestation of his most important philosophical work, An Essay Concerning Human Understanding (1689), began at a meeting with friends in his rooms, probably in February 1671. The group had gathered to consider questions of morality and revealed religion (knowledge of God derived through revelation). Locke pointed out that, before they could make progress, they would need to consider the prior question of what the human mind is (and is not) capable of comprehending. It was agreed that Locke should prepare a paper on the topic for their next meeting, and it was this paper that became the first draft of his great work. In 1672 Ashley was raised to the peerage as the 1st earl of Shaftesbury, and at the end of that year he was appointed lord chancellor of England. He was soon dismissed, however, having lost favour with Charles II. For a time Shaftesbury and Locke were in real danger, and it was partly for this reason that Locke traveled to France in 1675. By this time he had received his degree of bachelor of medicine from Oxford and been appointed to a medical studentship at Christ Church. Locke remained in France for nearly four years (1675–79), spending much time in Paris and Montpelier; the latter possessed a large Protestant minority and the most important medical school in Europe, both of which were strong attractions for Locke. He made many friends in the Protestant community, including some leading intellectuals. His reading, on the other hand, was dominated by the works of French Catholic philosophers. But it was his medical interests that were the major theme of the journals he kept from this period. He was struck by the poverty of the local population and contrasted this unfavourably with conditions in England and with the vast amounts that the French king (Louis XIV) was spending on the Palace of Versailles. From time to time Locke turned to philosophical questions and added notes to his journal, some of which eventually found a place in An Essay Concerning Human Understanding. Back in England, Shaftesbury had been imprisoned for a year in the Tower of London but was released in February 1678. By the time Locke returned to England in 1679, Shaftesbury had been restored to favour as lord president of the Privy Council. The country, however, was torn by dissension over the exclusion controversy—the debate over whether a law could be passed to forbid (exclude) the succession of Charles II’s brother James, a Roman Catholic, to the English throne. Shaftesbury and Locke strongly supported exclusion. The controversy reached its apex in the hysteria of the so-called Popish Plot, a supposed Catholic conspiracy to assassinate Charles and replace him with James. The existence of the plot was widely accepted and resulted in the execution of many innocent people before its fabricator, the Anglican priest Titus Oates, was discredited. When Shaftesbury failed to reconcile the interests of the king and Parliament, he was dismissed; in 1681 he was arrested, tried, and finally acquitted of treason by a London jury. A year later he fled to Holland, where in 1683 he died. None of Shaftesbury’s known friends was now safe in England. Locke himself, who was being closely watched, crossed to Holland in September 1683. Out of this context emerged Locke’s major work in political philosophy, Two Treatises of Government (1690). Although scholars disagree over the exact date of its composition, it is certain that it was substantially composed before Locke fled to Holland. In this respect the Two Treatises was a response to the political situation as it existed in England at the time of the exclusion controversy, though its message was of much more lasting significance. In the preface to the work, composed at a later date, Locke makes clear that the arguments of the two treatises are continuous and that the whole constitutes a justification of the Glorious Revolution, which brought the Protestant William III and Mary II to the throne following the flight of James II to France. It should be noted that Locke’s political philosophy was guided by his deeply held religious commitments. Throughout his life he accepted the existence of a creating God and the notion that all humans are God’s servants in virtue of that relationship. God created humans for a certain purpose, namely to live a life according to his laws and thus to inherit eternal salvation; most importantly for Locke’s philosophy, God gave humans just those intellectual and other abilities necessary to achieve this end. Thus, humans, using the capacity of reason, are able to discover that God exists, to identify his laws and the duties they entail, and to acquire sufficient knowledge to perform their duties and thereby to lead a happy and successful life. They can come to recognize that some actions, such as failing to care for one’s offspring or to keep one’s contracts, are morally reprehensible and contrary to natural law, which is identical to the law of God. Other specific moral laws can be discovered or known only through revelation—e.g., by reading the Bible or the Qurʾān. The essentially Protestant Christian framework of Locke’s philosophy meant that his attitude toward Roman Catholicism would always be hostile. He rejected the claim of papal infallibility (how could it ever be proved? ), and he feared the political dimensions of Catholicism as a threat to English autonomy, especially after Louis XIV in 1685 revoked the Edict of Nantes, which had granted religious liberty to the Protestant Huguenots. The first treatise was aimed squarely at the work of another 17th-century political theorist, Sir Robert Filmer, whose Patriarcha (1680, though probably written in the 1630s) defended the theory of divine right of kings: the authority of every king is divinely sanctioned by his descent from Adam—according to the Bible, the first king and the father of humanity. 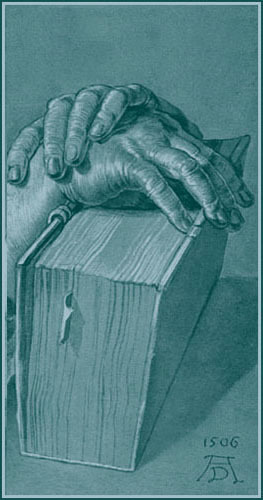 Locke claims that Filmer’s doctrine defies “common sense.” The right to rule by descent from Adam’s first grant could not be supported by any historical record or any other evidence, and any contract that God and Adam entered into would not be binding on remote descendants thousands of years later, even if a line of descent could be identified. His refutation was widely accepted as decisive, and in any event the theory of the divine right of kings ceased to be taken seriously in England after 1688. 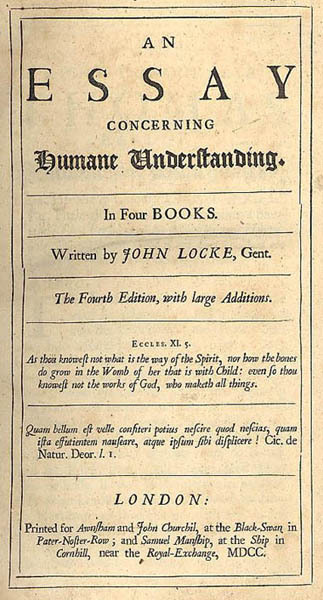 Locke’s importance as a political philosopher lies in the argument of the second treatise. He begins by defining political power as a right of making Laws with Penalties of Death, and consequently all less Penalties, for the Regulating and Preserving of Property, and of employing the force of the Community, in the Execution of such Laws and in defence of the Common-wealth from Foreign Injury, and all this only for the Publick Good. Locke’s definition of political power has an immediate moral dimension. It is a “right” of making laws and enforcing them for “the public good.” Power for Locke never simply means “capacity” but always “morally sanctioned capacity.” Morality pervades the whole arrangement of society, and it is this fact, tautologically, that makes society legitimate. Locke’s account of political society is based on a hypothetical consideration of the human condition before the beginning of communal life. In this “state of nature,” humans are entirely free. But this freedom is not a state of complete license, because it is set within the bounds of the law of nature. It is a state of equality, which is itself a central element of Locke’s account. In marked contrast to Filmer’s world, there is no natural hierarchy among humans. Each person is naturally free and equal under the law of nature, subject only to the will of “the infinitely wise Maker.” Each person, moreover, is required to enforce as well as to obey this law. It is this duty that gives to humans the right to punish offenders. But in such a state of nature, it is obvious that placing the right to punish in each person’s hands may lead to injustice and violence. This can be remedied if humans enter into a contract with each other to recognize by common consent a civil government with the power to enforce the law of nature among the citizens of that state. Although any contract is legitimate as long as it does not infringe upon the law of nature, it often happens that a contract can be enforced only if there is some higher human authority to require compliance with it. It is a primary function of society to set up the framework in which legitimate contracts, freely entered into, may be enforced, a state of affairs much more difficult to guarantee in the state of nature and outside civil society. Before discussing the creation of political society in greater detail, Locke provides a lengthy account of his notion of property, which is of central importance to his political theory. Each person, according to Locke, has property in his own person—that is, each person literally owns his own body. Other people may not use a person’s body for any purpose without his permission. But one can acquire property beyond one’s own body through labour. By mixing one’s labour with objects in the world, one acquires a right to the fruits of that work. If one’s labour turns a barren field into crops or a pile of wood into a house, then the valuable product of that labour, the crops or the house, becomes one’s property. Locke’s view was a forerunner of the labour theory of value, which was expounded in different forms by the 19th-century economists David Ricardo and Karl Marx (see also classical economics). Clearly, each person is entitled to as much of the product of his labour as he needs to survive. But, according to Locke, in the state of nature one is not entitled to hoard surplus produce—one must share it with those less fortunate. God has “given the World to Men in common…to make use of to the best advantage of Life, and convenience.” The introduction of money, while radically changing the economic base of society, was itself a contingent development, for money has no intrinsic value but depends for its utility only on convention. Locke’s account of property and how it comes to be owned faces difficult problems. For example, it is far from clear how much labour is required to turn any given unowned object into a piece of private property. In the case of a piece of land, for example, is it sufficient merely to put a fence around it? Or must it be plowed as well? There is, nevertheless, something intuitively powerful in the notion that it is activity, or work, that grants one a property right in something. Locke returns to political society in Chapter VIII of the second treatise. In the community created by the social contract, the will of the majority should prevail, subject to the law of nature. The legislative body is central, but it cannot create laws that violate the law of nature, because the enforcement of the natural law regarding life, liberty, and property is the rationale of the whole system. Laws must apply equitably to all citizens and not favour particular sectional interests, and there should be a division of legislative, executive, and judicial powers. The legislature may, with the agreement of the majority, impose such taxes as are required to fulfill the ends of the state—including, of course, its defense. If the executive power fails to provide the conditions under which the people can enjoy their rights under natural law, then the people are entitled to remove him, by force if necessary. Thus, revolution, in extremis, is permissible—as Locke obviously thought it was in 1688. The significance of Locke’s vision of political society can scarcely be exaggerated. His integration of individualism within the framework of the law of nature and his account of the origins and limits of legitimate government authority inspired the U.S. Declaration of Independence (1776) and the broad outlines of the system of government adopted in the U.S. Constitution. George Washington, the first president of the United States, once described Locke as “the greatest man who had ever lived.” In France too, Lockean principles found clear expression in the Declaration of the Rights of Man and of the Citizen and other justifications of the French Revolution of 1789. Locke remained in Holland for more than five years (1683–89). While there he made new and important friends and associated with other exiles from England. He also wrote his first Letter on Toleration, published anonymously in Latin in 1689, and completed An Essay Concerning Human Understanding. A dominant theme of the Essay is the question with which the original discussion in Exeter House began: What is the capacity of the human mind for understanding and knowledge? In his prefatory chapter, Locke explains that the Essay is not offered as a contribution to knowledge itself but as a means of clearing away some of the intellectual rubbish that stands in the way of knowledge. He had in mind not only the medieval Scholastics and their followers but also some of his older contemporaries. The Scholastics—those who took Aristotle and his commentators to be the source of all philosophical knowledge and who still dominated teaching in universities throughout Europe—were guilty of introducing technical terms into philosophy (such as substantial form, vegetative soul, abhorrence of a vacuum, and intentional species) that upon examination had no clear sense—or, more often, no sense at all. Locke saw the Scholastics as an enemy that had to be defeated before his own account of knowledge could be widely accepted, something about which he was entirely right. Locke begins the Essay by repudiating the view that certain kinds of knowledge—knowledge of the existence of God, of certain moral truths, or of the laws of logic or mathematics—are innate, imprinted on the human mind at its creation. (The doctrine of innate ideas, which was widely held to justify religious and moral claims, had its origins in the philosophy of Plato [428/427–348/347bce], who was still a powerful force in 17th-century English philosophy.) Locke argues to the contrary that an idea cannot be said to be “in the mind” until one is conscious of it. But human infants have no conception of God or of moral, logical, or mathematical truths, and to suppose that they do, despite obvious evidence to the contrary, is merely an unwarranted assumption to save a position. Furthermore, travelers to distant lands have reported encounters with people who have no conception of God and who think it morally justified to eat their enemies. Such diversity of religious and moral opinion cannot not be explained by the doctrine of innate ideas but can be explained, Locke held, on his own account of the origins of ideas. In Book II he turns to that positive account. He begins by claiming that the sources of all knowledge are, first, sense experience (the red colour of a rose, the ringing sound of a bell, the taste of salt, and so on) and, second, “reflection” (one’s awareness that one is thinking, that one is happy or sad, that one is having a certain sensation, and so on). These are not themselves, however, instances of knowledge in the strict sense, but they provide the mind with the materials of knowledge. Locke calls the materials so provided “ideas.” Ideas are objects “before the mind,” not in the sense that they are physical objects but in the sense that they represent physical objects to consciousness. All ideas are either simple or complex. All simple ideas are derived from sense experience, and all complex ideas are derived from the combination (“compounding”) of simple and complex ideas by the mind. Whereas complex ideas can be analyzed, or broken down, into the simple or complex ideas of which they are composed, simple ideas cannot be. The complex idea of a snowball, for example, can be analyzed into the simple ideas of whiteness, roundness, and solidity (among possibly others), but none of the latter ideas can be analyzed into anything simpler. In Locke’s view, therefore, a major function of philosophical inquiry is the analysis of the meanings of terms through the identification of the ideas that give rise to them. The project of analyzing supposedly complex ideas (or concepts) subsequently became an important theme in philosophy, especially within the analytic tradition, which began at the turn of the 20th century and became dominant at Cambridge, Oxford, and many other universities, especially in the English-speaking world. In the course of his account, Locke raises a host of related issues, many of which have since been the source of much debate. One of them is his illuminating distinction between the “primary” and “secondary” qualities of physical objects. Primary qualities include size, shape, weight, and solidity, among others, and secondary qualities include colour, taste, and smell. Ideas of primary qualities resemble the qualities as they are in the object—as one’s idea of the roundness of a snowball resembles the roundness of the snowball itself. However, ideas of secondary qualities do not resemble any property in the object; they are instead a product of the power that the object has to cause certain kinds of ideas in the mind of the perceiver. Thus, the whiteness of the snowball is merely an idea produced in the mind by the interaction between light, the primary qualities of the snowball, and the perceiver’s sense organs. Locke discussed another problem that had not before received sustained attention: that of personal identity. Assuming one is the same person as the person who existed last week or the person who was born many years ago, what fact makes this so? Locke was careful to distinguish the notion of sameness of person from the related notions of sameness of body and sameness of man, or human being. Sameness of body requires identity of matter, and sameness of human being depends on continuity of life (as would the sameness of a certain oak tree from acorn to sapling to maturity); but sameness of person requires something else. Locke’s proposal was that personal identity consists of continuity of consciousness. One is the same person as the person who existed last week or many years ago if one has memories of the earlier person’s conscious experiences. Locke’s account of personal identity became a standard (and highly contested) position in subsequent discussions. A further influential section of Book II is Locke’s treatment of the association of ideas. Ideas, Locke observes, can become linked in the mind in such a way that having one idea immediately leads one to form another idea, even though the two ideas are not necessarily connected with each other. Instead, they are linked through their having been experienced together on numerous occasions in the past. The psychological tendency to associate ideas through experience, Locke says, has important implications for the education of children. In order to learn to adopt good habits and to avoid bad ones, children must be made to associate rewards with good behaviour and punishments with bad behaviour. Investigations into the associations that people make between ideas can reveal much about how human beings think. Through his influence on researchers such as the English physician David Hartley (1705–57), Locke contributed significantly to the development of the theory of associationism, or associationist psychology, in the 18th century. Association has remained a central topic of inquiry in psychology ever since. Having shown to his satisfaction that no idea requires for its explanation the hypothesis of innate ideas, Locke proceeds in Book III to examine the role of language in human mental life. His discussion is the first sustained philosophical inquiry in modern times into the notion of linguistic meaning. As elsewhere, he begins with rather simple and obvious claims but quickly proceeds to complex and contentious ones. Words, Locke says, stand for ideas in the mind of the person who uses them. It is by the use of words that people convey their necessarily private thoughts to each other. In addition, Locke insists, nothing exists except particulars, or individual things. There are, for example, many triangular things and many red things, but there is no general quality or property, over and above these things, that may be called “triangle” (“triangularity”) or “red” (“redness”) (see universal). Nevertheless, a large number of words are general in their application, applying to many particular things at once. Thus, words must be labels for both ideas of particular things (particular ideas) and ideas of general things (general ideas). The problem is, if everything that exists is a particular, where do general ideas come from? Locke’s answer is that ideas become general through the process of abstraction. The general idea of a triangle, for example, is the result of abstracting from the properties of specific triangles only the residue of qualities that all triangles have in common—that is, having three straight sides. Although there are enormous problems with this account, alternatives to it are also fraught with difficulties. In Book IV of the Essay, Locke reaches the putative heart of his inquiry, the nature and extent of human knowledge. His precise definition of knowledge entails that very few things actually count as such for him. In general, he excludes knowledge claims in which there is no evident connection or exclusion between the ideas of which the claim is composed. Thus, it is possible to know that white is not black whenever one has the ideas of white and black together (as when one looks at a printed page), and it is possible to know that the three angles of a triangle equal two right angles if one knows the relevant Euclidean proof. But it is not possible to know that the next stone one drops will fall downward or that the next glass of water one drinks will quench one’s thirst, even though psychologically one has every expectation, through the association of ideas, that it will. These are cases only of probability, not knowledge—as indeed is virtually the whole of scientific knowledge, excluding mathematics. Not that such probable claims are unimportant: humans would be incapable of dealing with the world except on the assumption that such claims are true. But for Locke they fall short of genuine knowledge. There are, however, some very important things that can be known. For example, Locke agreed with Descartes that each person can know immediately and without appeal to any further evidence that he exists at the time that he considers it. One can also know immediately that the colour of the print on a page is different from the colour of the page itself—i.e., that black is not white—and that two is greater than one. It can also be proved from self-evident truths by valid argument (by an argument whose conclusion cannot be false if its premises are true) that a first cause, or God, must exist. Various moral claims also can be demonstrated—e.g., that parents have a duty to care for their children and that one should honour one’s contracts. People often make mistakes or poor judgments in their dealings with the world or each other because they are unclear about the concepts they use or because they fail to analyze the relevant ideas. Another great cause of confusion, however, is the human propensity to succumb to what Locke calls “Enthusiasm,” the adoption on logically inadequate grounds of claims that one is already disposed to accept. One major problem that the Essay appeared to raise is that if ideas are indeed the immediate objects of experience, how is it possible to know that there is anything beyond them—e.g., ordinary physical objects? Locke’s answer to this problem, insofar as he recognized it as a problem, appears to have been that, because perception is a natural process and thus ordained by God, it cannot be generally misleading about the ontology of the universe. In the more skeptical age of the 18th century, this argument became less and less convincing. This issue dominated epistemology in the 18th century. The Essay’s influence was enormous, perhaps as great as that of any other philosophical work apart from those of Plato and Aristotle. Its importance in the English-speaking world of the 18th century can scarcely be overstated. Along with the works of Descartes, it constitutes the foundation of modern Western philosophy. Locke’s writings were not confined to political philosophy and epistemology. Some Thoughts Concerning Education (1693), for example, remains a standard source in the philosophy of education. It developed out of a series of letters that Locke had written from Holland to his friend Edward Clarke concerning the education of Clarke’s son, who was destined to be a gentleman but not necessarily a scholar. It emphasizes the importance of both physical and mental development—both exercise and study. The first requirement is to instill virtue, wisdom, and good manners. This is to be followed by book learning. For the latter, Locke gives a list of recommended texts on Latin, French, mathematics, geography, and history, as well as civil law, philosophy, and natural science. There should also be plenty of scope for recreation, including dancing and riding. Locke’s The Reasonableness of Christianity(1695) is the most important of his many theological writings. Central to all of them is his belief that every individual has within him the abilities necessary to comprehend his duty and to achieve salvation with the aid of the Scriptures. Locke was constantly trying to steer a course that would allow individuals to accept the essential doctrines of Christianity while retaining a certain freedom of conscience. According to Locke, all Christians must accept Jesus as the Messiah and live in accordance with his teachings. Within this minimum framework, however, differences of worship could and should be tolerated. Locke was thus in many ways close to the Latitudinarian movement and other liberal theological trends. His influence on Protestant Christian thought for at least the next century was substantial. Locke wrote no major work of moral philosophy. Although he sometimes claimed that it would be possible in principle to produce a deductive system of ethics comparable to Euclid’s geometry, he never actually produced one, and there is no evidence that he ever gave the matter more than minimal attention. He was quite sure, however, that through the use of reason human beings can gain access to and knowledge of basic moral truths, which ultimately arise from a moral order in “the soil of human nature.” As he expressed the point in Essays on the Law of Nature (1664), an early work expressing a position from which he never diverted, since man has been made such as he is, equipped with reason and his other faculties and destined for this mode of life, there necessarily result from his inborn constitution some definite duties for him, which cannot be other than they are. Just as one can discover from the nature of the triangle that its angles equal two right angles, so this moral order can be discovered by reason and is within the grasp of all human beings. Locke remained in Holland until James II was overthrown in the Glorious Revolution. Indeed, Locke himself in February 1689 crossed the English Channel in the party that accompanied the princess of Orange, who was soon crowned Queen Mary II of England. Upon his return he became actively involved in various political projects, including helping to draft the English Bill of Rights, though the version eventually adopted by Parliament did not go as far as he wanted in matters of religious toleration. He was offered a senior diplomatic post by William but declined. His health was rarely good, and he suffered especially in the smoky atmosphere of London. He was therefore very happy to accept the offer of his close friend Damaris Masham, herself a philosopher and the daughter of Ralph Cudworth, to make his home with her family at Oates in High Laver, Essex. There he spent his last years revising the Essay and other works, entertaining friends, including Newton, and responding at length to his critics. After a lengthy period of poor health, he died while Damaris read him the Bible. He was buried in High Laver church. 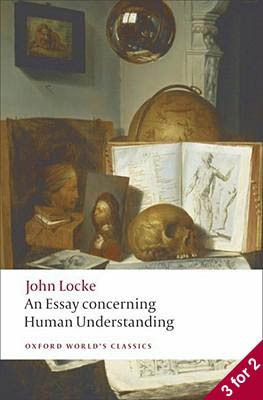 As a final comment on his achievement, it may be said that, in many ways, to read Locke’s works is the best available introduction to the intellectual environment of the modern Western world. His faith in the salutary, ennobling powers of knowledge justifies his reputation as the first philosopher of the Enlightenment. In a broader context, he founded a philosophical tradition, British empiricism, that would span three centuries. In developing the Whig ideology underlying the exclusion controversy and the Glorious Revolution, he formulated the classic expression of liberalism, which was instrumental in the great revolutions of 1776 and 1789. His influence remains strongly felt in the West, as the notions of mind, freedom, and authority continue to be challenged and explored. Locke's purpose in An Essay Concerning Human Understanding was to inquire into the origin and extent of human knowledge, and his answer—that all knowledge is derived from sense experience—became the principal tenet of the new empiricism which has dominated Western philosophy ever since. Even George Berkeley (1685-1753), who rejected Locke's distinction between sense qualities independent of the mind and sense qualities dependent on the mind, proposed an idealistic philosophy in response to Locke's provocative philosophy and gave it an empirical cast which reflected Western man's rejection of innate or transcendental knowledge. An Essay Concerning Human Understanding is divided into four books: Book I, "Of Innate Notions"; Book II, "Of Ideas"; Book III, "Of Words"; and Book IV, "Of Knowledge, Certain and Probable." In preparation for his radical claim that all ideas are derived from experience, Locke began his Essay with a careful consideration of the thesis that there are innate ideas, that is, ideas which are a necessary part of man's convictions and are, therefore, common to all men. Locke's attack on this claim is from two directions. He argues that many of the ideas which are supposed to be innate can be and have been derived naturally from sense experience, that not all men assent to those ideas which are supposed to be innate. He maintained that even if reason enables men to discover the truth of certain ideas, those ideas cannot be said to be innate; for reason is needed to discover their truth. In Book II, "Of Ideas," Locke considers the origin of such ideas as those expressed by the words "whiteness," "hardness," "sweetness," "thinking," "motion," "man," and the like. The second section states his answer. Let us then suppose the mind to be. as we say, white paper void of all characters, without any ideas. How comes it to be furnished? . . . Whence has it all the materials of reason and knowledge? To this I answer, in one word, from experience. . . . Our observation, employed either about external sensible objects, or about the internal operations of our minds perceived and reflected on by ourselves, is that which supplies our understandings with all the materials ofknowledge. The two sources of our ideas, according to Locke, are sensation and reflection. By the senses we come to have perceptions of things, thereby acquiring the ideas of yellow, white, cold, for example. Then, by reflection, by consideration of the mind in operation, we acquire the ideas of thinking, doubting, believing, knowing, willing, and so on. By sensation we acquire knowledge of external objects; by reflection we acquire knowledge of our own minds. Ideas that are derived from sensation are simple; that is, they present "one uniform appearance," even though a number of simple ideas may come together in the perception of an external object. The mind dwells on the simple ideas, comparing them to each other, combining them, but never inventing them. By a "simple idea" Locke meant what some modern and contemporary philosophers have called a "sense-datum," a distinctive, entirely differentiated item of sense experience, such as the odor of some particular glue, or the taste of coffee in a cup. He called attention to the fact that we use our sense experience to imagine what we have never perceived, but no operation of the mind can yield novel simple ideas. By the "quality" of something Locke meant its power to produce an idea in someone sensing the thing. The word "quality" is used in the Essay in much the same way the word "characteristic" or "property" has been used by other, more recent, writers, for Locke distinguished between primary and secondary qualities. Primary qualities are those which matter has constantly. whatever its state. As primary qualities Locke names solidity, extension, figure, motion or rest, and number. By secondary qualities Locke meant the power to produce various sensations which have nothing in common with the primary qualities of the external objects. Thus, the power to produce the taste experience of sweetness is a secondary quality of sugar, but there is no reason to suppose that the sugar itself possesses the distinctive quality of the sensation. Colors, tastes, sounds, and odors are secondary qualities of objects. Locke also referred to a third kind of quality or power, called simply "power," by which he meant the capacity to affect or to be affected by other objects. Thus, fire can melt clay; the capacity to melt clay is one of fire's powers, and such a power is neither a primary nor a secondary quality. Locke concluded that primary ideas resemble external objects, but secondary ideas do not. It is this particular claim which has excited other professional philosophers, with Berkeley arguing that primary qualities can be understood only in terms of our own sensations, so that whatever generalization can be made about secondary qualities would have to cover primary qualities as well, and other philosophers arguing that Locke had no ground for maintaining that primary ideas "resemble" primary qualities, even if the distinction between primary and secondary qualities is allowed. Complex ideas result from acts of the mind, and they fall into three classes: ideas of modes, of substances, and of relations. Modes are ideas that are considered to be incapable of independent existence since they are affections of substance, such as the ideas of triangle, gratitude, and murder. To think of substances is to think of "particular things subsisting by themselves," and to think in that manner involves supposing that there is a support, which cannot be understood, and that there are various qualities in combination which give various substances their distinguishing traits. Ideas of relations are the result of comparing ideas with each other. 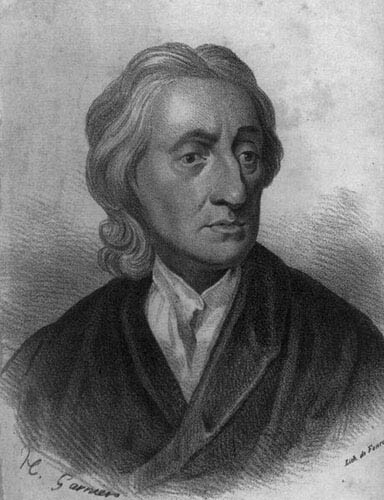 After a consideration of the complex ideas of space, duration, number, the infinite, pleasure and pain, substance, relation, cause and effect, and of the distinctions between clear and obscure ideas and between true and false ideas, Locke proceeded to a discussion, in Book III, of words and essences. Words are signs of ideas by "arbitrary imposition," depending upon observed similarities which are taken as the basis for considering things in classes. Words are related to "nominal essences," that is, to obvious similarities found through observation, and not to "real essences," the actual qualities of things. Locke then discussed the imperfections and abuses of words. In Book IV Locke defined knowledge as "the perception of the connection of and agreement, or disagreement and repugnancy, of any of our ideas." An example cited is our knowledge that white is not black, Locke arguing that to know that white is not black is simply to perceive that the idea of white is not the idea of black. Locke insisted that knowledge cannot extend beyond the ideas we have, and that we determine whether ideas agree or disagree with each other either directly, by intuition, or indirectly, by reason or sensation. Truth is defined as "the joining or separating of signs, as the things signified by them do agree or disagree one with another." For example, the proposition "White is not black" involves the separation by "is not" of the signs "white" and "black," signifying the disagreement between the ideas of white and black. Since the ideas are different, the proposition is true. Actually to have compared the ideas and to have noted their disagreement is to know the fact which the true proposition signifies. Locke devoted the remaining chapters of Book IV to arguing that we have knowledge of our existence by intuition, of the existence of God by demonstration, and of other things by sensation. Here the influence of Descartes is clearly evident. But it is the empiricism of the earlier parts of the book which won for Locke the admiration of philosophers.